Ideas for your writing, whether they are story ideas, or how to best frame your nonfiction book. Problem solving as you work your way through the publishing process, which is often filled with hard decisions and uncertainty. Understanding how to reach your ideal readers in ways that are inventive and meaningful. When you hone your process for creativity, new options open up all around you. If you want to find out how to add rocket fuel to your best creative ideas, and learn how to take them to fruition, our Creativity Starter Kit is THE place to start for your writing projects. And the best part: it’s FREE! Sign up below, and we will share four incredible weeks of free resources to help you lead a more creative life as a writer. Right when you sign up, you receive our THE FIVE TRUTHS OF CREATIVITY. This is a one-Sheet PDF that explains the core concepts of leading a more creative life as a writer. We won’t burden you with dozens of pages of filler, we whittle this down to ONLY the tips that matter. You also receive our CREATIVITY POSTER PACK: a printable 5 pack of our CREATIVITY TRUTHS to hang in your writing space to remind you to stay on track and establish good habits. For those of you whose writing space consists only of a laptop which moves from space to space, we also provide a desktop background of the CREATIVITY TRUTHS for you to post on your computer, iPad or mobile device. Our CREATIVITY CASE STUDY. We dig in deep to one of the greatest stories of our generation, that of J.K. Rowling. While it would be easy to think that Ms. Rowling had a spark of genius , put her idea and paper, and found immediate success, those would all be completely untrue assumptions. We lift the lid off of her creative process and show how you can learn from exactly what she did. You will also receive our CREATIVITY QUOTES FLIP BOOK. Use it onscreen or print it out; whenever you need a boost of creativity, reach for one of these quotes! Here we give you our I-D-E-A PROCESS MAP. This is our system for being creative not as a stroke of luck, but as a step-by-step process that you master. Like all good systems, it offers enough structure to focus you, but enough freedom to personalize it based on your style, personality and work. You also receive our I-D-E-A PRINTABLE FORTUNE TELLER. This is another fun and useful tool to spark creative ideas as a part of our system. Just print it out, fold it up, and use it to generate new ideas. A screencast where we take you through our Creativity for Writers system, with examples, anecdotes and more context to ensure you hit the ground running. The focus here is to harness your resources to choose the most compelling creative project and ensure you make real progress in bringing it to reality. Dan Blank has taught hundreds of writers how to hone their process as writers, find an audience, and better manage their writing careers. 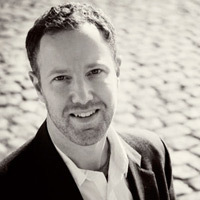 Through his site WeGrowMedia.com, he provides resources to help writers and publishers develop their skills. Dan is also a business owner, and has learned through practical experience how to develop creative projects while managing a family, home, and finances. 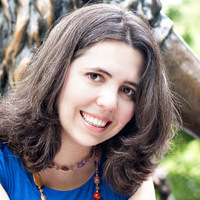 Gabriela Pereira is the Creative Director and Founder of DIY MFA, where she creates tools and techniques for the serious writer. She is also a freelance writing teacher, leading workshops throughout NYC and she has taught at organizations like 826NYC, Everybody Wins and the East Harlem Tutorial Program, as well as a local writing workshop she built from the ground up. Gabriela has an MFA from The New School in Writing for Children and her work has appeared in several publications both online and in print. When she’s not teaching or working with writers, she enjoys doing a some writing of her own, in particular middle grade and teen fiction, as well as some “fiction for grown-ups” thrown in for good measure.